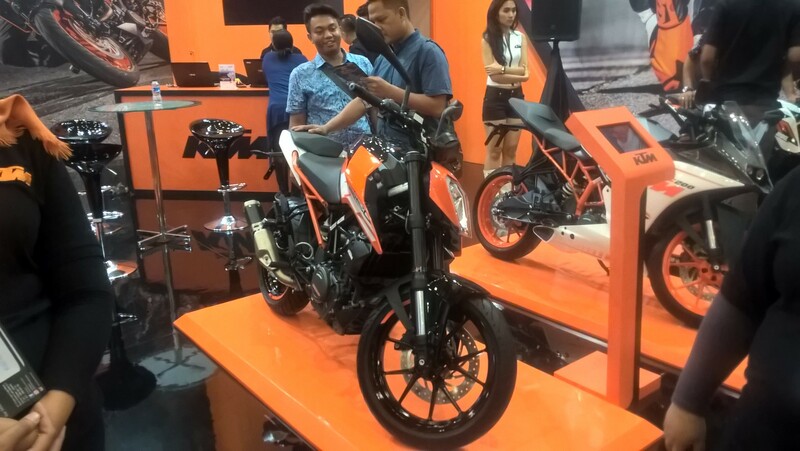 The 2017 KTM 390 Duke and the 2017 KTM 250 Duke have been launched in Malaysia. 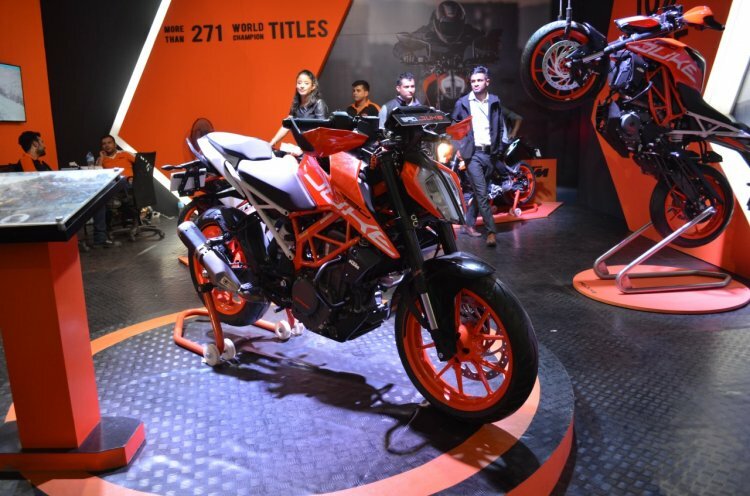 The 390 Duke retails at RM 28,000 (INR 4.33 lakh) and the 250 Duke commands a price tag of RM 21,730, both excluding registration costs and insurance. The 2017 390 Duke comes with an all-LED lighting system and a TFT instrument cluster. 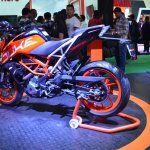 KTM has designed the 2017 KTM 390 Duke to look similar to its bigger cousin, the Superduke. The bike comes with full LED lighting system and a TFT display with KTM My Ride Bluetooth connectivity. It also gets ride-by-wire. A 373.2 cc single cylinder engine with liquid cooling does duty on the bike. The Euro 4 compliant engine puts out 44 PS of power, and the engine works in tandem with a 6-speed gearbox with slipper clutch. The bike matches A2 license requirements as well. The WP upside-down front fork and a rear WP monoshock hold the steel trellis frame. The bike comes to a halt using 320 mm front and a 230 mm rear disc, both with Bosch twin channel ABS. The ABS comes in three modes - on, off and Supermoto mode which only engages ABS to the front wheel. 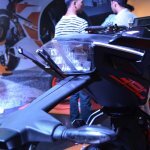 The 2017 KTM 250 Duke gets halogen headlamp and a digital instrument cluster. 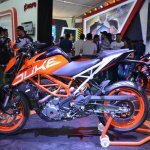 The design of the KTM 250 Duke is also reminiscent of the Superduke. However, the bike comes with halogen headlamp and an LCD with shift light. Powering this motorcycle is a 248.8 cc single cylinder engine with liquid cooling. It generates 30 PS of power and 24 Nm of torque. The engine pairs with a 6-speed transmission. Suspension components are similar to the 390. For braking, the motorcycle employs 300 mm front and a 230 mm rear disc both with ABS. 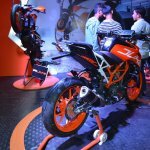 The two bikes are assembled at KTM’s plant in Jitra, Malaysia.